While searching for an Irish dessert, I came upon this dessert and decided I could do this. I have all the ingredients. This is a simple dessert I found on the website European Cuisines. The author of the post explained this dessert was created by farmers who grew barley and needed to use apples that had been stored over the year and were best used cooked. The recipe and history can be seen here. I liked layering this pudding. It's a very simple and yummy dessert. 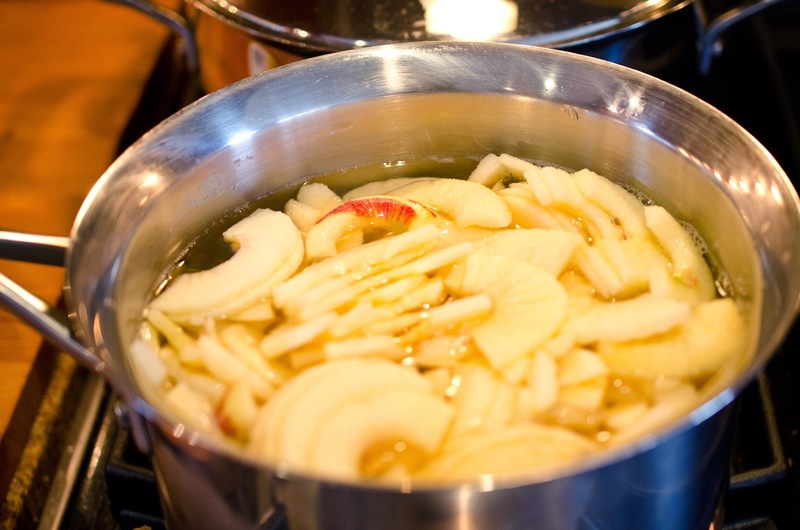 cook gently until both the barley and the apples are soft (normally about half an hour). medium flame until it boils. Boil mixture for 5 minutes. Pour mixture into bowl and place in refrigerator to get cold. After pudding is cold, blend in a blender if the barley is not completely pureed. Add heavy whipping cream, 2 tablespoons cane sugar, and vanilla to mixing bowl of a stand mixer. Attach whisk and whisk until stiff peaks form. 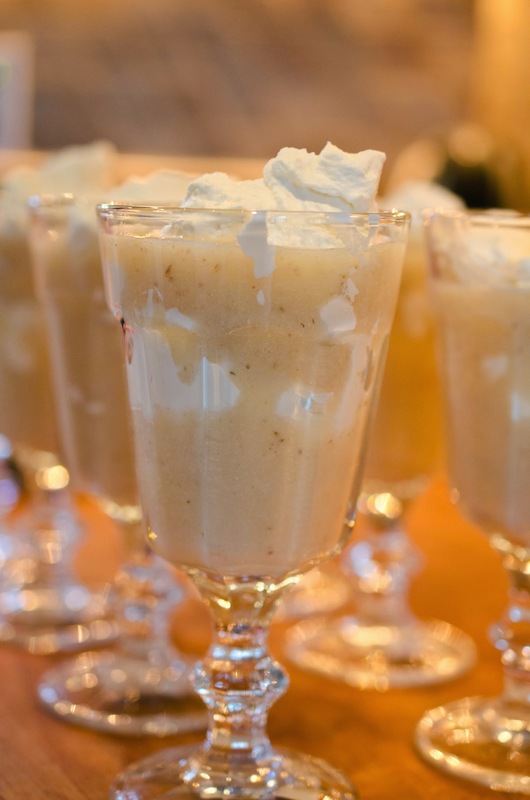 Layer apple barley pudding and cream together in glasses. Add the water to a heavy pot, add the barley, and bring to a boil. 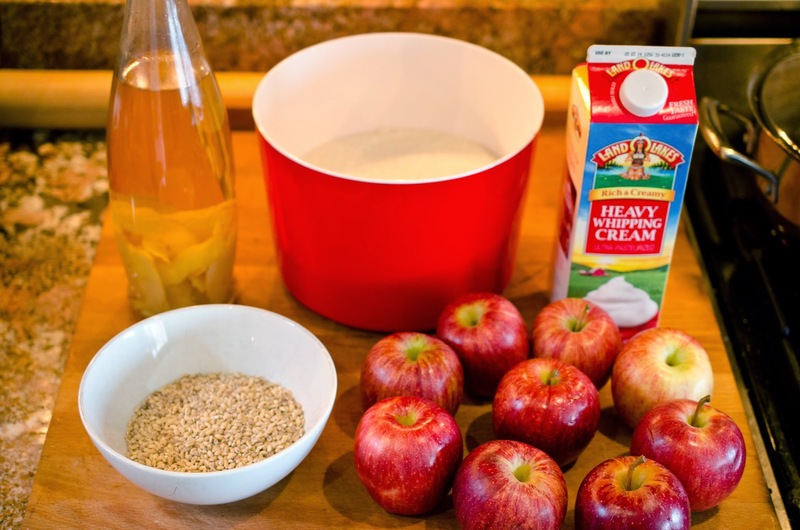 Add the sliced apples and cook gently until both the barley and the apples are soft (normally about half an hour). 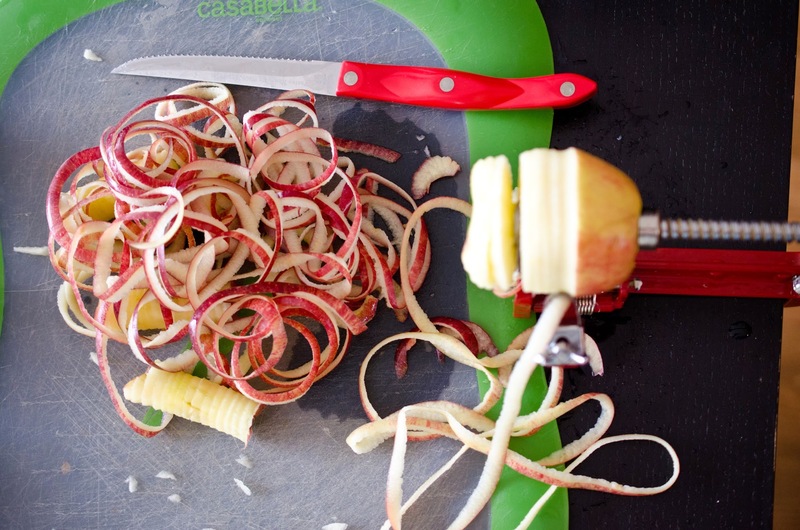 When the barley is cooked, and the apples are in pieces remove from heat and puree with immersion blender. Return mixture to stove and stir in lemon extract, and 4 tablespoons cane sugar and cook over medium flame until it boils. Beautiful! The barley and apples sound like a tasty combo.